Microsoft stops Skype support for most Windows phones. Users might face trouble uploading the app on their Windows mobile phones. Find out the complete story here! We have upsetting news for Windows phone users. Microsoft has made a tough decision, and it might affect the users greatly. The software company has determined to completely disarm Skype support on Windows phones. However, this condition is applicable to some handsets only. All the handsets running on Windows Phone 8 and 8.1, will not get Skype support privileges. Some of the Windows 10 devices have also been included in this list. It means that users operating the following phones will be unable to download Skype app from Windows store. Supposing, the users do find a direct link to install the app, it still won’t work. Skype will no longer be in service for Windows phones, from next year. So, downloading the app from a direct link will be pointless anyway. Microsoft has already started withdrawing Skype support from various Windows devices. It has included its competitors in this move, too. Several old versions and Windows RT-enabled devices have lost their Skype privileges. 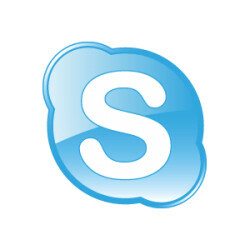 Microsoft’s tough move seems to be the consequence of Skype’s entry into the ‘Cloud’ system, next year. Due to this move, it is harming many others, in the process. Android users have also become a victim of this strategy. People using Android 4.0.2 or earlier versions, no longer have Skype support on their phones. Skype has become scarce for even those bearing the latest Windows 10 devices. Only a handful of them are getting to enjoy the benefits of Skype Support. The devices which have the recent Win 10 Mobile Anniversary Update, or, Windows 10 Mobile 1607, are suitable for Skype download. Across the world, we have 13.7 percent of Windows 10 phones. Those users are able to access the support for Skype. But, out of them, 9.5% have the 1511 version of OS, on their phones. And, this version isn’t compatible with Skype. They do have the option of upgrading to the 1607 version, by using the Windows Insider program. But, if their phones come from a small manufacturer, they might not be able to upgrade. So, either way, they won’t be able to utilize Skype support. This leaves us with a very small number of users, with access to Skype. If we calculate the numbers altogether, we get some really shocking results. Stats show that we have almost 85 percent Windows mobile users, without the support. It seems quite unfair on Microsoft’s part towards Windows users. It is taking away one of the most essential apps from them. This move has already affected so many users. We fear that it might harm the company too, in the days to come.